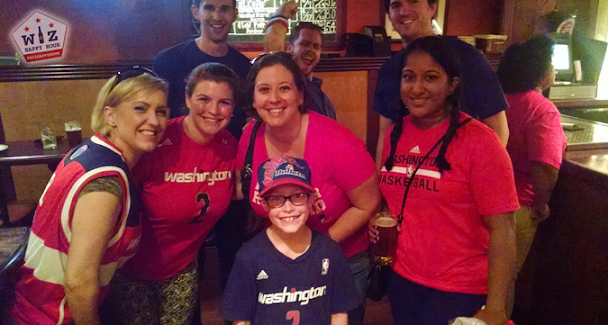 Before the rough loss to the Hawks in game 4, the Wiz Happy Hour crew met up at the District Chophouse & Brewery to enjoy their $3.50 hand-crafted craft beers and delicious happy hour food specials. 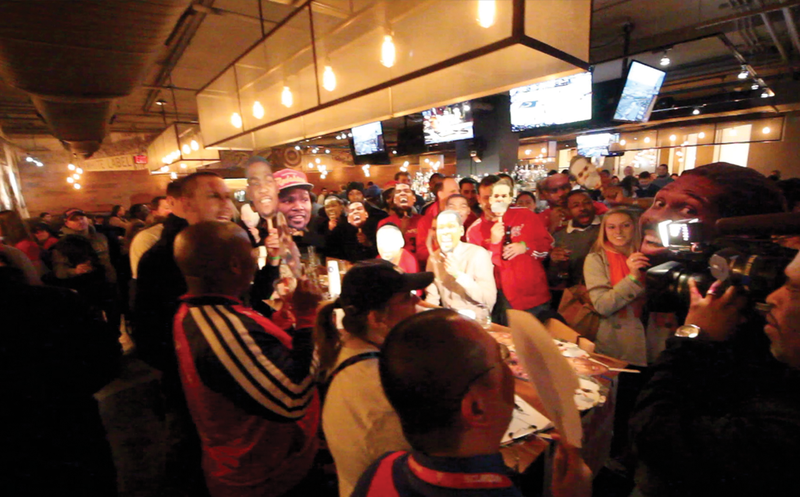 We had a great crowd come out and everyone was raving about the delicious brews while we talked about another playoff game without John Wall (Event Photos). District Chophouse is one of our favorite happy hours. 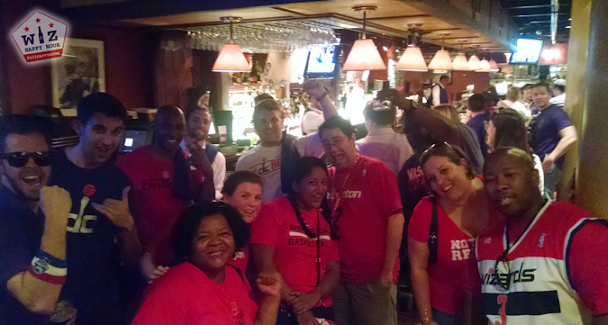 We met several other Wiz fans who make this their pregame spot every single game they attend. The $3.50 beer may be the cheapest non domestic beer special in the area and the food choices are not the cheapest ($7) but they may be the most delicious. Basically, don't be afraid that this is a fancy steakhouse. 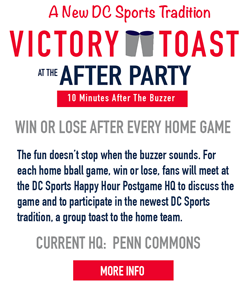 Wizards fans are welcome and love coming here! I got to meet some great fans and we added a few new recruits to the gang. Overall it was a pretty awesome time. It's a shame it ended so sadly on the court.